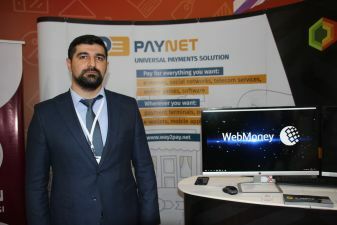 Paynet has been a payment aggregator in Azerbaijan since 2011. We are always actively participating in the international Bakutel exhibition. Here we provide visitors to our stand with detailed information on non-cash payment options in the country, as a promising future direction. Relatively speaking, we are a big hub that unites many different companies, which with the help of our single hub can make payments to 300 services in Azerbaijan. We also independently created a unique payment solution for individuals and legal entities - the project “Elektron Xəzinə” (E-Treasury), which we present at the exhibition. Under this system, any natural and legal person will be able to accept payments remotely using cash and non-cash payments using all payment systems in the country. For payment systems, we offer a single supplier gateway. By connecting to Paynet, you can expand the geography of payment acceptance and work with various providers around the world. Our system works in real time, and any transaction takes no more than 10 seconds to ensure the safety of financial transactions. All developments have been carried out by Azerbaijani programmers. We are very pleased to be participating in the international Bakutel exhibition, because this gives us the opportunity to find new reliable partners.